Recently large scale data breaches have been all over the news. Coverage is mostly of larger companies—Target in 2013, Home Depot in 2014, and Anthem in 2015. But smaller companies are still vulnerable—possibly even more so because they don’t have the resources or budget to employ high-tech security measures. Small companies often underestimate the need for security because they don’t feel like a target for criminals. They think identity thieves and hackers go for larger corporations with lots of data to steal, but that’s not always the case. Plus, while a large-scale data breach will make national headlines, the truth is that a security breach can be as small as one employee’s or customer’s information being compromised—the seriousness of such a breach is not diminished by the small scale. This article will take you through common security threats to small businesses, and some steps to avoid information compromise, including data backup tips and document management solutions. One of the biggest—and most overlooked—threats to small business information security comes from the inside. Disgruntled employees who have access to customer/company files, records, and information wield a ton of power. In fact, the average company loses 5% of its annual revenue to fraud committed by its own employees. Employees in departments who have access to sensitive company information (accounting, IT, management, etc.) pose more of a threat than your entry-level employees. Prevent internal employees from stealing, damaging, or leaking private information by creating a strict process for determining access to certain files. Not every employee needs access to everything. Limit access to important documents, and if you are a big enough company, consider creating a hierarchy of access, where employees gain incremental access to what they need as they progress within your company. And if you have old, unused privileged accounts, delete them immediately. Poorly-trained employees can unintentionally put your company information at risk by not following proper procedure. Be sure to thoroughly train all employees on proper data backup, storage, and organizational practices, post guidelines near computer stations, and hand out documentation outlining company policies and procedures. In its early stages every company must choose how it will organize and structure its filing system. An issue many businesses face as they grow is trying to stay organized with an outdated electronic document management system. Often times the company outgrows the framework it originally created and tries to hold onto its original structure for too long, creating a messy, unstable, and inefficient database. With such confusion comes holes and vulnerabilities in the structure as it loses its integrity, creating an easy opportunity for data loss. Luckily, electronic document management system software exists and is rapidly evolving to meet the needs of every type and size of organization. If you are dealing with a document management structure that is bogging down your company or causing employees to slip up constantly, consider upgrading to a more sophisticated document management system. Software exists with flexible and customizable options that allow you to control user access, streamline document scanning and storage processes, and flawlessly integrate with your current applications. These systems help keep you documents organized, safe, and accounted for. Many smaller companies don’t have efficient data backup processes. All companies, small or large, are vulnerable to disasters that can wipe out a company’s entire database. Floods, fires and other natural disasters can devastate companies that don’t have secure, backed up versions of their data. On top of that, data that is backed up, but not in a secure manner, is vulnerable to theft from hackers. There are many ways to securely backup your data—it all depends on how your company works and what your requirements are. 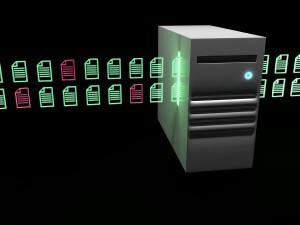 Businesses need to decide on an optimal backup format as well as how often they need to back their information up. Formats range from tape and disk storage to cloud storage services, each with its own unique benefits and disadvantages. How often you back up your data depends on how often your information is updated. If it is constantly refreshed, you may want to back up your data on a daily basis. If your company information stays the same for longer periods of time, you might consider weekly or even bi-weekly backup sessions. It is recommended that small businesses set up an automatic backup process. In smaller companies fewer people are handling more responsibilities, and it’s easy for routine backups to get pushed down to the bottom of to-do lists. The ultimate goal is getting your information backed up so you don’t lose it. No matter how you choose to set up your backup procedure, don’t let it fall to the back of your priorities. Are You a Small Business in Need of Data Security Solutions? Record Nations Can Help! Data breaches are nothing new, and they aren’t going away any time soon. Company data faces security threats from all sides, and to protect your business you need to be proactive and do everything you can to keep your information safe. Record Nations partners with a nationwide network of document security and storage professionals who are ready to help keep your information secure. 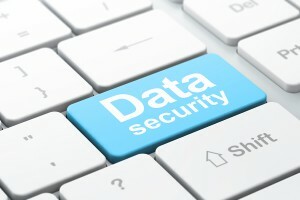 With top-notch technologies and the best industry strategies, they are equipped to handle any data security job. To get started on a data security project for your small business, call us at (866) 385-3706 or fill out the form on the right for free quotes. We will get back to you within minutes with free quotes on your project!